The Black wire beaded giraffe - either fully beaded neck or a single strand of beads wrapped around the black wire neck are very popular. 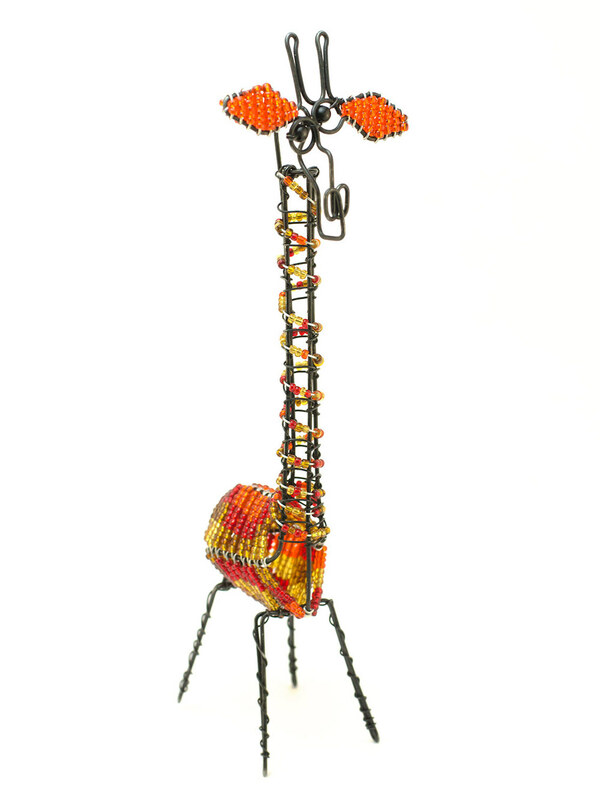 Skilled wire artisans frame the giraffe shape and Zulu Beaders carefully apply glass beads on wire which is wrapped around the 3D wire frame. The Funky Giraffe is a beautiful piece made out of size 1 glass beads intricately beaded in combination of Zulu bead colours - these are limited in supply and made by a family of talented Zulu Beaders.